Mice Advice is back again and this time in relation to the amazing Burger and Lobster that we recently visited...we LOVED it, if you missed it read our write up here. "We're off to Burger and Lobster on Dean Street and wanted some advice on good bars for cocktails in the area! I love love love this place and you will too! It's a Thai restaurant upstairs and cocktail bar / lounge downstairs - I celebrated my Birthday here last year with a group of my best friends to try out the tasting menu and cocktails, I can safely say it was loved by all! Some serious drinks to be tried, amazing luxe decor and girls can dress up without feeling out of place...win win! Cocktail to try...The Gatsby - Tanqueray gin shaken with fresh pink grapefruit juice and homemade fig reduction. Touted as one of the best bars in London, this has been at the top of my list to visit for a while! Think a basement New York bar...dimly lit, chesterfields, a snooker table, quirky art and a long sleek bar running the entire length of the room...and you have Mark's Bar! 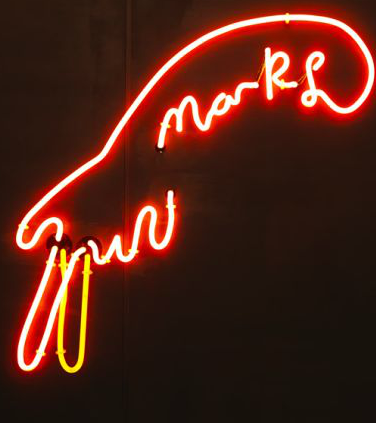 Another truly cool venue from the amazing Mark Hix, you can't make a reservation, but I headed down recently on a Friday evening and got a table without a problem. Full review to come shortly so keep your eyes peeled! Cocktail to try...The Avenue - Four Roses Bourbon shaken with Somerset 3yr Coder Brandy, passion fruit nectar, Mark's grenadine and a dash of orange blossom water. If wine is your bag, then Vinoteca is your place! Boasting a list of 300 wines you can't really go wrong! Beware though, the super cosy atmosphere may lull you into staying to work your way through several glasses. Helpful staff will make choosing your wine a breeze and decor is gorgeous, think exposed brick walls, fun art and a really cool bar area with hundreds of wine glasses hanging above your head. It's a popular venue for both dinner and wine sipping but worth the wait if there's a queue! 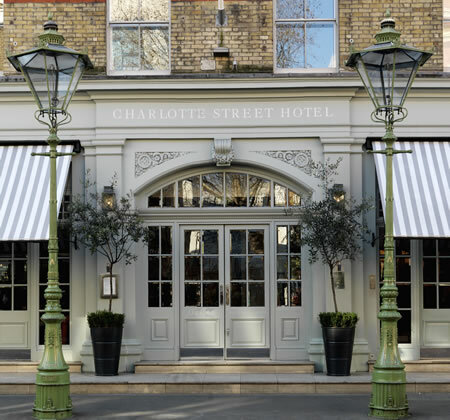 If classy pre-dinner or post-dinner cocktails is what you're after, then Charlotte Street Hotel ticks all the boxes! Oscar Bar is beautifully designed, shakes up delicious cocktails and is full of beautiful people...what more could you want?! If the sun is shining then why not take your cocktail out onto the terrace overlooking bustling Charlotte Street for a spot of Soho people watching! Cocktails are roughly £12 a pop, but totally worth it as they are super scrumptious! Cocktail to try...Pink Diamond - Rhubarb liqueur, Finlandia Grapefruit vodka, rhubarb puree, cranberry and lemon juice. NB. Make sure you also order an Espresso Martini - this is where I tried my first ever one and have been in love EVER since!